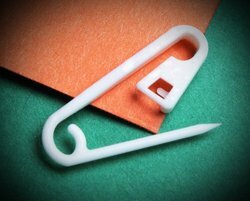 We have two types of PP/Nylon Safety Tag Pin. One design is with covering the head and one is without a head, so easily dyeable. These pins are mostly used on tags on children's garment. 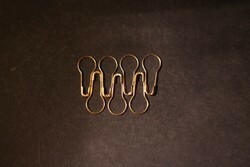 Pear shaped safety pins are made of Iron (ms) and free brass. We have all polished available in both type Iron and Brass. These are available at Rs. 325 per 100 pieces. 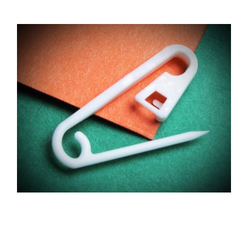 For the excellent quality Nylon Safety Pin With Head, avail the range offered by us. Safety Pin with Tag is used for hanging tickets and paper related items. Our Nylon Tag Pin is specially manufactured items by expert professionals using high grade material ensuring long services life. The Nylon Tag Pin is widely appreciated for its easy handling and usage as well. 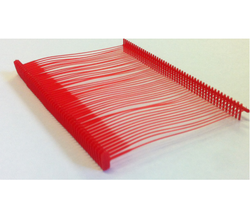 Nylon Tag Pin offered by us is available in bulk at most reasonable rates. 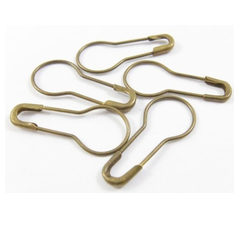 Prominent & Leading manufacturer, exporter, importer, distributor and wholesaler of Brass Matka Safety Pins. Prominent & Leading manufacturer, exporter, importer, distributor and wholesaler of O - Ring Tag Pin. 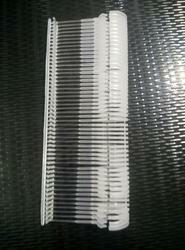 We import Tag PP/Nylon Tag Pinsfrom China. We have all type of Tag Pins, and hook loops. Tag Pins comes in nylon & P.P. Looking for Safety Pins ?